All-Beethoven evenings are common enough, often based on the safe formula of overture/concerto/symphony: good for both box-office and a contented audience. But turn that formula on its head, and suddenly the jaded listener finds her or his antennae quivering. 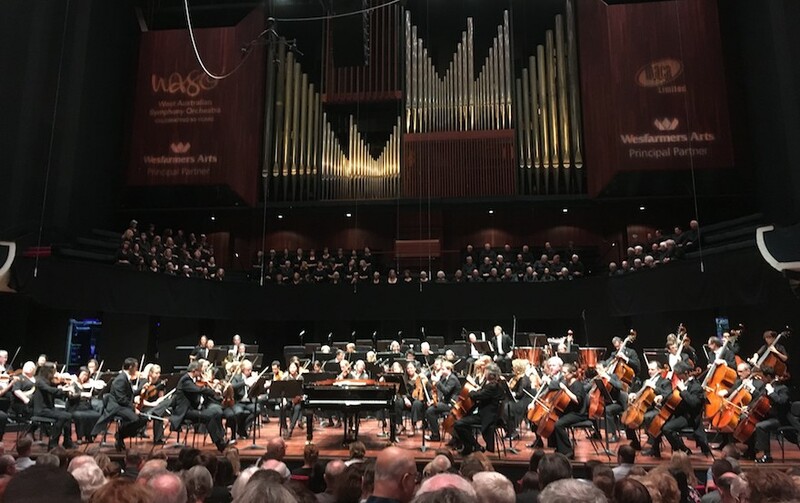 And so it was that on Thursday night we had WASO living more dangerously than the gentle “Ode to Joy” title of the evening implied: for it represented the musical equivalent of an increasingly rich but novel meal based only on one central ingredient. The Zur Namensfeier overture, from 1815, has never established itself with the public and yet, undistinguished as it is, a convincing case was made for it as an effective concert opener for a programme such as this. The Fantasy for Piano, Chorus and Orchestra was written in 1808 as the concluding work in a benefit concert for Beethoven himself, an event of epic length held on a bitter Viennese winter’s night. Even with Beethoven at the keyboard, it’s hard to imagine how this rather strange composition would have been received. By contrast, on a balmy Perth evening not only was the work given room to breathe, but having our esteemed principal conductor at the keyboard brought an additional focus and frisson to the proceedings. It was an extraordinarily unusual but daring and imaginative act to programme this work on the same bill as the Choral Symphony, which it rather pre-echoes. Has this ever been done previously? Certainly not in Perth; but it proved fascinating to have the two works performed in sequence. After a somewhat rambling piano opening, the orchestra introduces – rather pleasurably as we sense its approach—the “proto” choral theme which is then carried in variation form by various instrumental combinations before the vocal soloists are eased in, followed by the full choir. There was much enjoyment to be derived by the listener in all of this, as the unusual work flashed vividly and satisfyingly into life. But having strolled happily through the foothills, we now came to the Everest that is the Ninth Symphony. For all that the “Ode to Joy” is done to death, in the context of the work as a whole, all sense of over-exposure withers. A beautiful unfolding of the opening movement, by turns dramatic and lyrical, was followed by a finely controlled scherzo, almost gossamer at times, but always with a strong and satisfying momentum, evoking both joy and drama. Unrushed, but still with a perceptible sense of moving forward, the slow movement sang its way with an unforced beauty, setting the scene for the choral conclusion. And what a triumphant exposition that was, the audience in the very grip of the music as the first quiet statement of the famous theme was followed by oh-so-refined re-statements until the blazing tune could be held back no longer, or so it felt! The firm, gleaming tone of bass David Parkin immediately set the standard for the remaining vocal contribution from the well-matched soloists Rachelle Durkin, Fiona Campbell and Henry Choo, and a very fine WASO Chorus. In sum, the assembled forces (including Naomi Johns and Perry Joyce in the Fantasy) provided what, even at this early stage in the season, will surely prove to be one of the highlights of 2018. But equal congratulations must be offered to the artistic planners whose flair and imagination brought us a programme that was so unpredictable, stimulating and so worthy a tribute to Beethoven, whose own share in the universal brotherhood of the “Ode to Joy” was, after all, comparatively meagre. 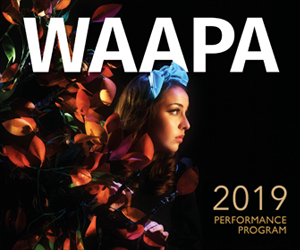 One would normally have to go far to hear a concert of this calibre: fortunately there are two further performances – subject to ticket availability – and then an ABC broadcast on 24 March. “Ode to Joy” plays until 17 March. Pictured top is Asher Fisch conducting West Australian Symphony Orchestra. Below: West Australian Symphony Orchestra and Chorus at Thursday night’s performance.